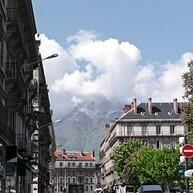 Grenoble is the gateway to the Alps and a geographic crossing where the rivers Isère and Drac meet. With Switzerland to the north, Italy to the east and Provence to the south, the city is surrounded by three mountain chains. It is a cosmopolitan city with cafés, museums and restaurants. Best of all, you can see the Alps from almost every street corner. Opening hours: Shops and department stores are generally open from 9/10am-7pm. Bakeries close at 1pm. Shops are open on Sundays at their own discretion. There are more than 200 skiing resorts in the surrounding area. From here, it is easy to access skiing, mountain climbing and paragliding. Grenoble holds a lot of surprises ! 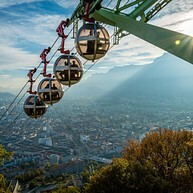 At the foot of the Chartreuse Massif is one of Grenoble’s top attractions, La Bastille, a fort with a spectacular view over the city and the mountain. You get there by means of the "egg lift" téléphérique, one of the most popular excursions. At first, one man’s dream of creating his own castle had many people shaking their heads. 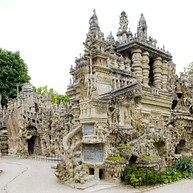 But the simple postman Ferdinand Cheval struggled for 33 years, stone by stone, to create a castle, which is now world famous for its mythical scenes. Nowhere else in the world is there a reflective sundial of this size, and astronomers from all countries come to Horloge Solaire to study the sundial, which still keeps the time today. In 1673, under Louis the XIV, the Jesuit, Father Bonfa, and his pupils painted frescoes covering 100 square meters of the walls. You cannot visit Grenoble without being reminded of the author Stendhal. His book "The Red and the Black" contains impressions from his early years in the city. 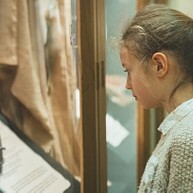 In the museum there are manuscripts, documents, portraits and memorabilia from his life and career. You will find this lovely spa just a few minutes from Grenoble where you will experience no stress environment and where you can recharge you batteries. The spa offers Hammam, sauna, swimming pool, jacuzzi with aromatherapy and chromotherapy, fitness room, showers, space rest with tea and fireplace and two massage rooms. Just relax and enjoy. Le Magasin was founded in 1986, and is one of Europe’s leading contemporary art centres. 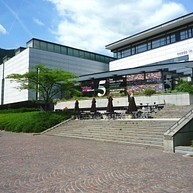 Here you can see numerous exhibitions and visit the onsite bookshop. A free place to visit the rich past of Grenoble. 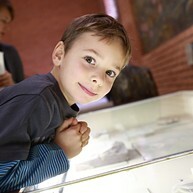 The visitor care is exceptional and the touch-screen displays charm the children. During the Second World War, Grenoble has been involved in the Resistance. The proximity of the mountains allowed young people to flee in the "maquis" and train themselves to fight their enemies. 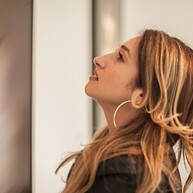 The Museum of Résistance and Deportation presents this contemporary history. Through objects, movies, and reconstituted scenes, the visitor can have an overview of that time. 45 minutes of a nice commented stroll around the city! 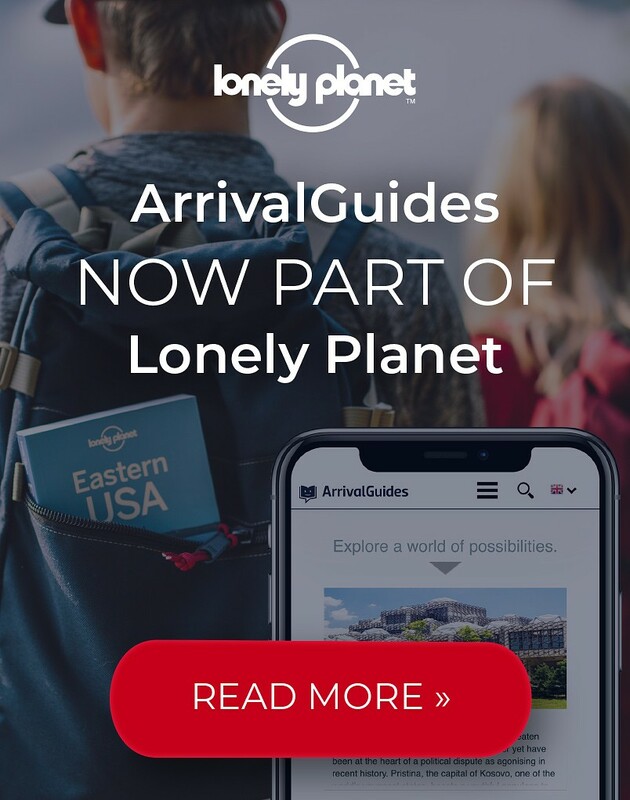 You can discover all the best spots of Grenoble. 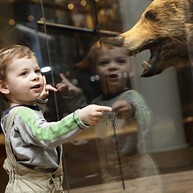 The Museum presents a great collection which displays fossils, animals and artefacts. 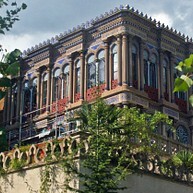 Located in the suburb of Grenoble, this villa was built in 1855 in a pure Arabo-Andalusian style. The oldest historic monument made with moulded cement is unique with its columns, its fountains and its statues. 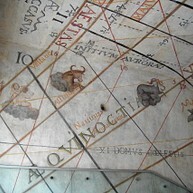 You can also see seven sundials. This cathedral was erected in the 13th century and is the biggest church of the city. The medieval style is interesting, especially with the choir and the tower at the entrance. Don't miss the flamboyant Gothic-styled ciborium! Headquarters of the comics editor Glénat, this ancient convent welcomes temporary art exhibitions and offers a high-quality document repository, available for everybody to consult. Musée de Grenoble holds collections of ancient, modern and contemporary art, from the 13th to the 20th centuries. 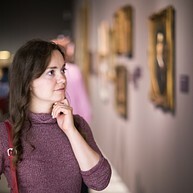 The museum is smaller than many well-known and respected museums throughout Europe, but it feature an impressive collections of art. Inside you will also find a lovely terrace and restaurant. Parc Naturel Regional du Vercors is a beautiful natural area where you can discover caves such as La Grotte de la Coranche and La Grotte de la Luir and even small, charming villages. This region also offers beautiful alpine trails through varied landscapes where you can take in the magnificent views. Don´t forget the camera. This is a museum built on an old church where you can time travel back in time to modern age. Here you can admire prehistoric remains, great paintings from the modern area and origins of the city walls going back to Roman times. One other good thing about this museum is that it offers free entrance.